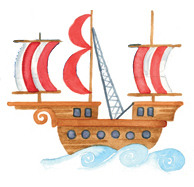 Product code: QQQ05 Category: Typographical Art. How does your garden grow? 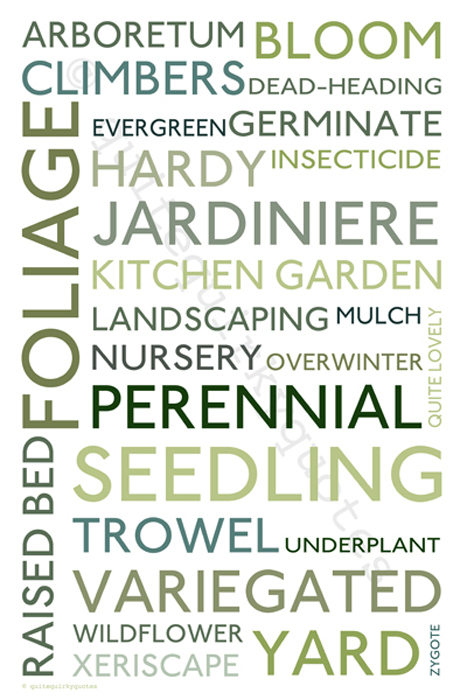 In shades of greens, the text of this print follows A through to Z of gardening terms. Perfect for the established garden lover or aspiring green fingers. 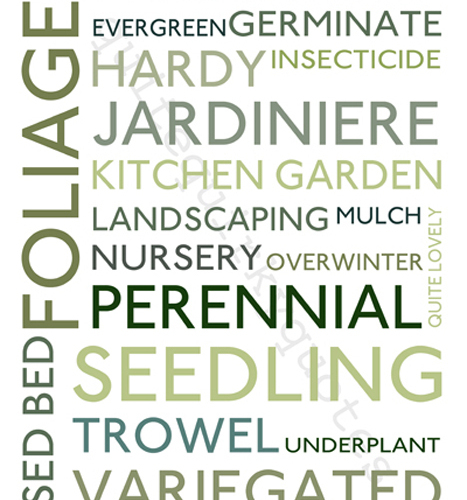 Tags: gardening phrases, typgraphical artwork, word art gardening.